CNN Press Release - In July, HLN posted its best month ever in Total Day among both total viewers and the 25-54 demo (702k and 230k, respectively), topping solid numbers from June and previous highly-ranked months including September 2001. It also had its best delivery ever in M-Su Prime among total viewers (998k) and ranked #1 in the dayside daypart (M-F 9a-5p) across all cable news among 25-54 viewers (256k). 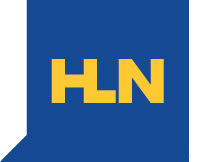 Additionally on July 5, during the breaking news coverage of the verdict in the Casey Anthony trial, HLN was the most-watched television network on broadcast or cable with more than 5.2 million viewers turning between 2:15 and 2:30 during the reading of the verdict. Morning Express with Robin Meade posted an increase of +74% in total viewers (524k) and a +20% gain among demo viewers (199k), topping MSNBC’s Morning Joe in both demos to rank as the #2 cable news morning show in the month of July. HLN Special Report at 5p posted a whopping +318% increase compared to a year ago among total viewers (1.016 million) and grew +195% among demo viewers (301k), far and away the most growth of any cable news network at 5p. Prime News at 6p increased +224% among total viewers (900k) and grew +151% among demo viewers (281k), the most growth of any cable news network at 6p. Issues with Jane Velez-Mitchell scored a +116% gain among total viewers (960k) and +75% growth among demo viewers (298k), the most growth of any cable news network at 7p. Nancy Grace ranked as HLN’s top program of the month, posting a +98% increase in total viewers (1.369 million) and +89% among demo viewers (411k), the most growth of any cable news network at 8p. Dr. Drew increased by +119 in total viewers (1.148 million) and +139% among demo viewers (335k), the most growth in cable news at 9p. CNN Apps Hit 10,000,000 Download Mark!